Free OREA Book: Get the Most From Ontario Real Estate Association [OREA] FREE Book on Buying Homes For Sale Step by Step Info! Order the above book "How to Buy Your Home" for FREE from Ontario Real Estate Association by Phone: (416) 445-9910, 1-800-265-OREA (Outside Toronto), or Fax: (416) 445-2644. Home Buyer | Home Buying | First Time Homebuyer | Toronto Real Estate Guide: You're on your way home. Whatever your situation, buying a home today is a journey with many twists and turns. The options are more varied than they've ever been. Urban, Suburban or Rural? New Homes or Resale? Apartment / Condominium, Condo Townhouse, Rowhouse, Detached house, Semi-detached, Link, Freehold Townhouse, Duplex and Multiplexes etc? Which is right for you? We take you through the entire process, step by step, from the moment you decide to buy until the moment the movers carry the first box through the front door of your new home. 1. Housing Needs - Helps you figure out exactly what features you want and need in your home. Also, where you want that home to be. We give you information to help you do that. 2. Market Forecasts - Everything that happens in the larger housing market has an impact on your home purchase. We help you track trends in mortgage rates and housing prices and other key indications that tell you the best time to buy. 3. Affordability - So you know what kind of home you want, but can you afford it? Practical information and practical help to help you calculate how you can be house proud without being house poor. 4. Building Your Team - There are a lot of people involved when you buy a home. We provide to help you choose the right people to meet your home buying needs. 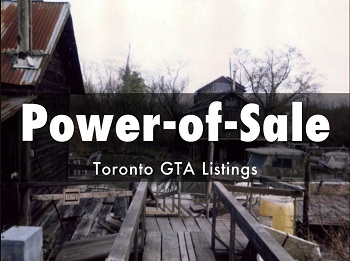 Toronto Lofts: 200+ Sought-After Authentic Downtown Toronto Factory Conversions, Hard and Soft Lofts For Sale MLS® Listings with Unique Modern Style Designs. 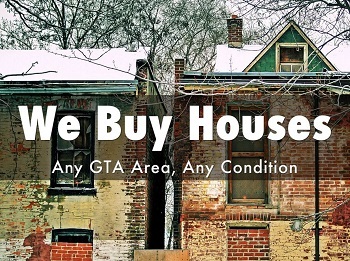 TREB MLS® System Listings. Get a sneak preview of new Toronto Real Estate Board MLS® System Listings on the market before other buyers with "Preferred Access". 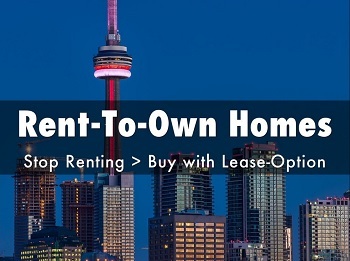 Click Here To Find/Discern For Real Estate FREE Special Report - "How To Stop Paying Rent Own Your Own Toronto Home"
"How To Stop Paying Rent and Own Your Own Home" a free report has helped renters get out from under their landlord's finger, and move into a wonderful home. A new program allows buyers to buy a home with no down payment i.e. 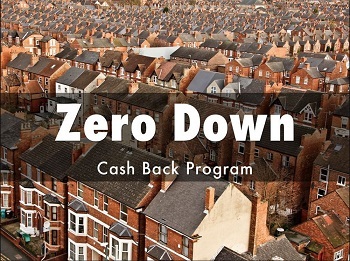 banks cash back program plus get money for renovations OAC, some conditions apply. High End Greater Toronto homes sales are surging, Sales are up for properties over $1 Million, Luxury homes market in Canada is the best now in many years. Follow These Steps to Cut Thousands of Dollars Off The Price of the Home that perfectly meets your needs and how to procure it for the lowest possible price. Toronto Real EState FREE Special Report - "13 Extra Costs to Be Aware of Before Buying a Home"
13 Extra Costs to Be Aware of Before Buying a First Toronto Home. 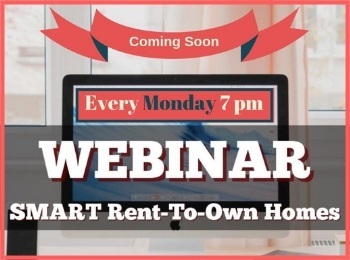 Click Here To Find/Discern For Real Estate FREE Special Report - "6 Things You Must Know Before You Buy"
Discover How to Avoid the 6 Biggest Costly Mistakes Home buyers Make - A Must Review report on 6 Most common and costly mistakes that can save you thousands. Toronto Real Estate Buyer Beware: Mistakes to Avoid Like the Plague When Buying a Home. How to Avoid 9 Common Buyer Traps BEFORE Buying a Home. Avoid Paying too much when buying a home. Avoid these costly buyer mistakes before you purchase. Estimate your GTA House or condo costs with the following calculators: Land Transfer Tax Calculator, Rent Vs Buy Calculator and Mortgage Calculator. Get Pre-Approved and put yourself in the strongest negotiating position, call me on exactly how much you can afford / qualify for a mortgage pre-approval. Preview this week's Sunday Tour of Rent-To-Own Homes For Sale. A quick and efficient way to get a feel for what Rent-To-Own Homes are available in your price range.